Today we are looking at how to import your existing membership data into Memberz.Org to be able to kick start your membership management with the platform. Go to your Organisation Settings section. Choose “Save Changes” to enable the functionality. 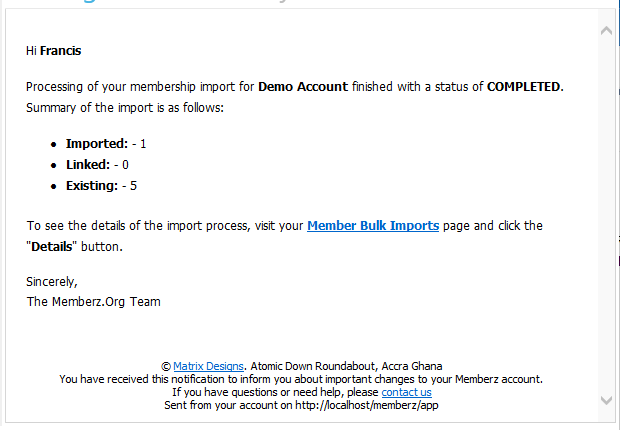 If you have permission to import data into your organisation, then go to the Members -> Bulk Import section to get started. Once on the Bulk Imports page, you will need to download the import template and fill it with data. This is a Microsoft Excel Document so you must have a recent version of Microsoft Office, Open Office or similar software to edit the file. Once opened, study the content of the document to see the formating of data needed for the various fields. Please ensure to keep the formating the same to guarantee the import process completes successfully. Once you are done with updating the template with the data you need to import, simply choose the “Upload and Import” option from the Bulk Imports page. This will open up a modal dialog. No. Members Linked – This is the number of members who already exist on Memberz.Org and who’s basic membership information have been linked with your organization. No. Members Existing – This is the number of members who already exist in your organization so were not imported or linked. Once the import process completes, you can visit the Bulk Imports section to see which members were imported, linked or were already Existing in your organization. 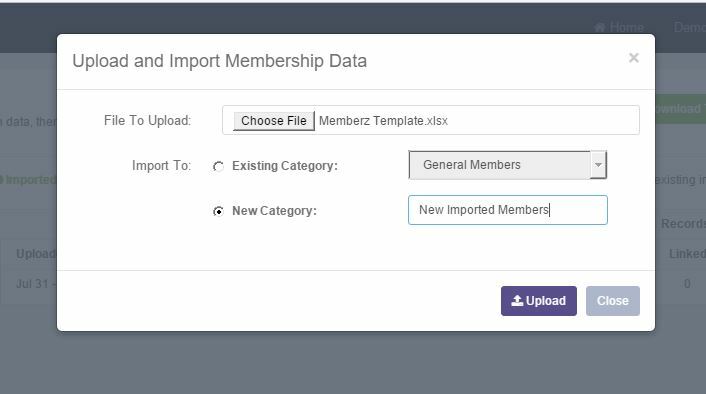 Once satisfied, you can start a new import process or go to your Member Profiles section to continue editing the membership information, moving them to new categories or linking them to Groups, and much more. Let us know what challenges you have in the comments section below or via our social media channels on Facebook and Twitter. Next Next post: Updates: Memberz.Org is expected to be VISA enabled.